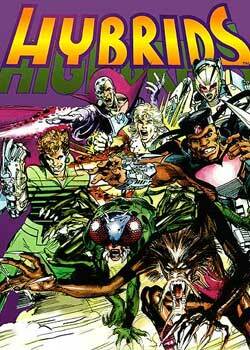 HYBRIDS- The Hybrids. In a malevolent secret plot between aliens and power hungry corporations... human cells are combined with cells from aliens to produce a mixture of human alien types on other planets. 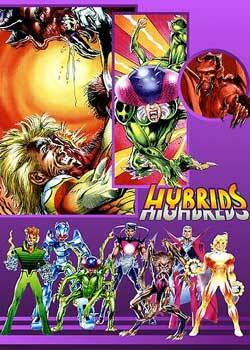 Seven children… seven Hybrids are born... on seven different planets. All seven develop a psychic link with each other that spans inter galactic space. They discover that they share one thing in common... they owe half of their existence to the planet Earth. And then they discover, as predicted by wise men throughout civilized races, in the Milky Way galaxy, that the Earth is in danger... and so the Hybrids journey home, beyond all odds to save the Earth...from it’s own inhabitants.